Tweak says, "Lily's middle name was Sue." I will no longer be the bridge. You look like that Avatar girl. Whatever happened to her, anyway? 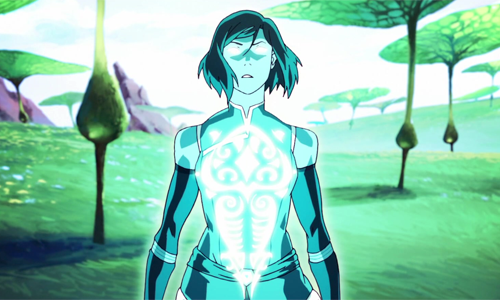 Korra arrived in game June 28, 2014. ♫ Stays at the Wooltar Bridge with Sakura. ♫ Works at the sports center. ♫ Has her polar bear dog, Naga.